At Decona, we believe that good design for urban settings starts from two things – the place and the people. Outdoor products are sensitive to the place and its surroundings. When designing for indoors, we have an interior to consider, but when designing for outdoors, it’s a whole bunch of context details to note – the surrounding architecture, the landscape, the effects of changing weather conditions, the activities happening around the place, the development of a place over time, the historical and cultural heritage it carries. Such context awareness is what matters. 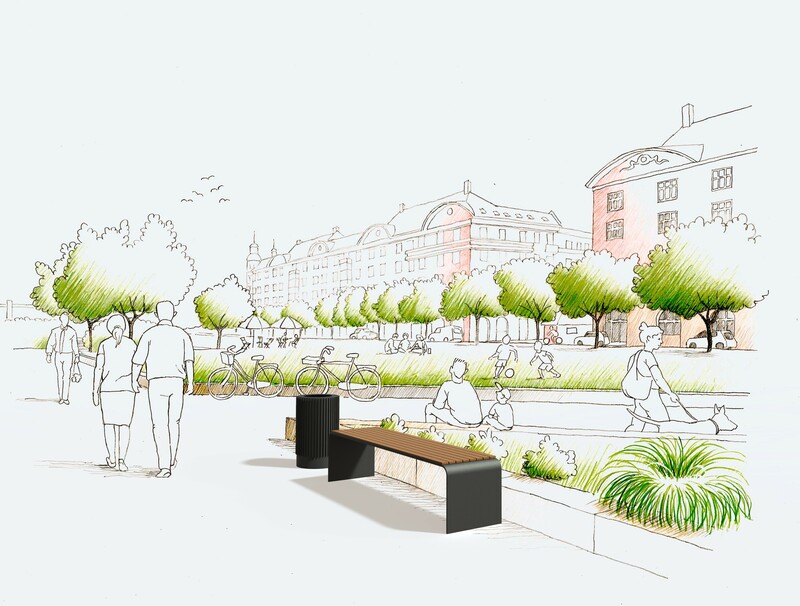 We consider the environment at every step of the design process, in order to develop products that enhance the urban setting, blending the products and surroundings together. Each product is meant to facilitate the public enjoyment of the outdoor space and carry a reflection of its settings. People are the main part of every public space, and outdoor products are meant to improve the quality of life outside the buildings. Good design addresses people needs and encourages to use the product. Imagine a street newspaper rack with free newspapers in a rainy weather. Nobody wants to read a wet newspaper. So it might seem a good idea to put up a fully closed rack with a door, but what about the passers-by? How many of them rush with a take-away coffee in one hand and a phone in another? Do they really want to put effort into opening a door? How quick and easy grabbing a newspaper should be? That is one of a thousand examples to consider. At Decona, we focus on human behavior throughout the design process, and make sure we fully understand the user before designing a final solution.